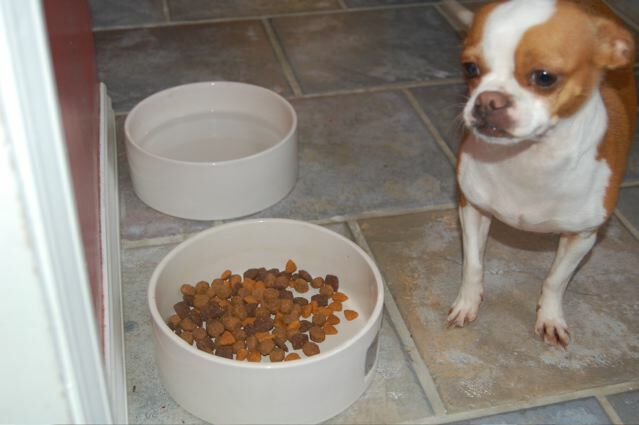 Along with moving to Chicago, I am moving to a new blog. Check it out. But sometimes I get a little over-excited about watermelon season and start to buy watermelons before they’re really at their peak. This happened a couple weeks ago when I bought a seedless (seedless was my first mistake) watermelon. 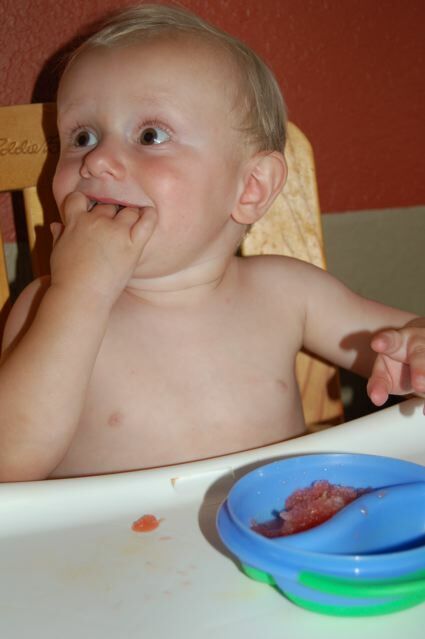 It was definitely not juicy enough to warrant summer watermelon excitement. So what do you do with an entire non-juicy watermelon that no one is going to eat? 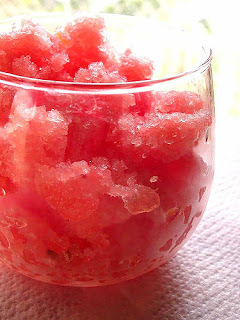 I first considered just tossing it…until I found a recipe for watermelon granita. Then add the zests and juice of two limes. 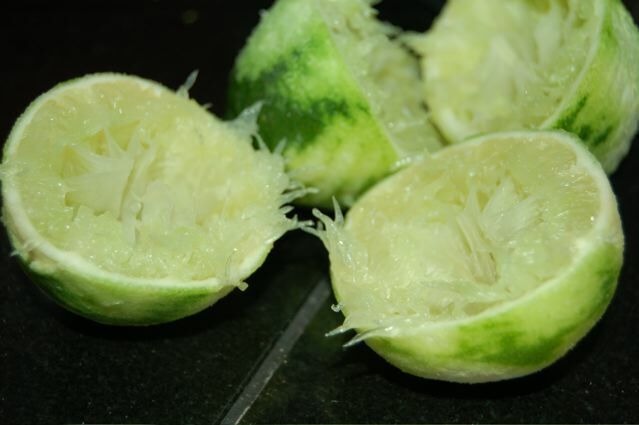 After you use them up the limes look like this. You also add a sugar syrup mixture. Stir it all together and stick it in the freezer. After two hours the granita will start to get slushy. After that point, you need to stir it every half hour or so. If you don’t stir, it will just turn into a rock of watermelon ice, so stirring is essential. 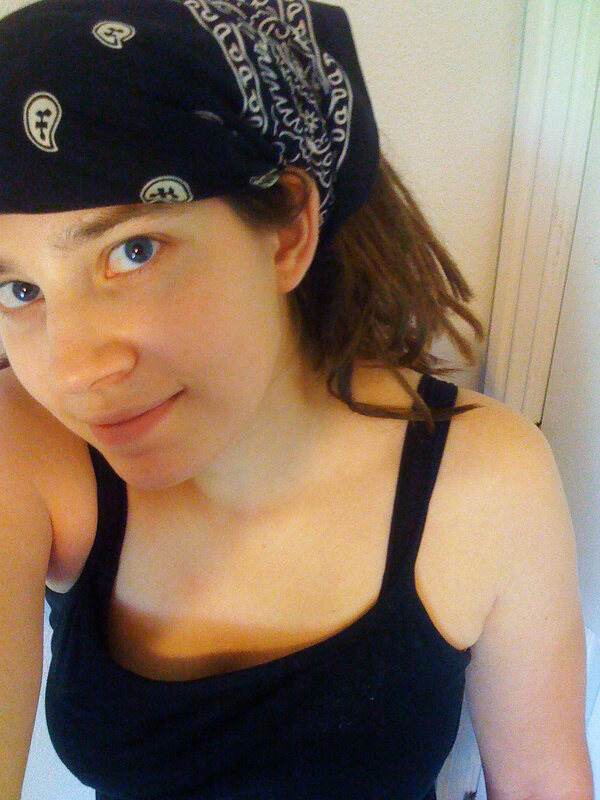 I forgot to get a picture of the final product so here’s one I found on teh intarweb. …and scream very, very loudly if you take it away from them. Cut the watermelon into quarters. 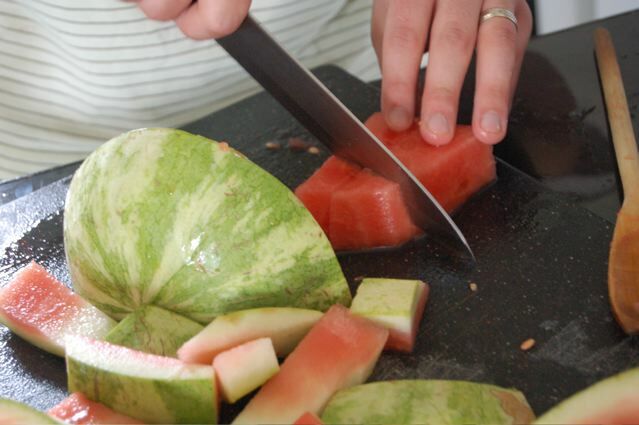 Discard most of the seeds, scoop the flesh into a blender and process the watermelon quarters in small batches. Bring the sugar and water to a boil in a small pan, stirring constantly until the sugar has dissolved. Pour the syrup into a bowl. Allow the syrup to cool, then chill until needed. 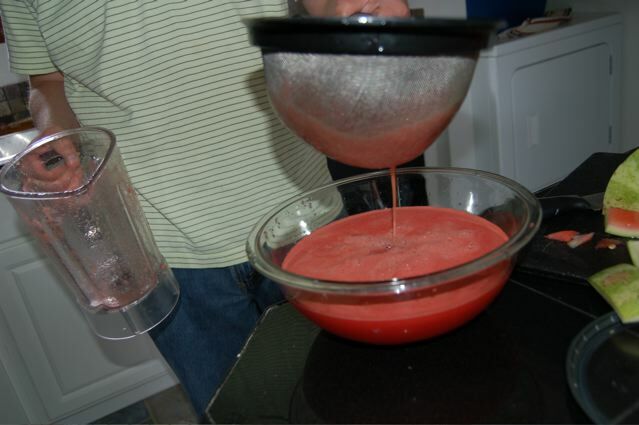 Strain the watermelon puree through a sieve into a large plastic container. Discard the melon seeds. Pour in the chilled syrup, lime rind, and juice and mix well. Cover and freeze for 2 hours until the granita mixture around the sides of the container is mushy. Mash the ice finely with a fork and return to the freezer. 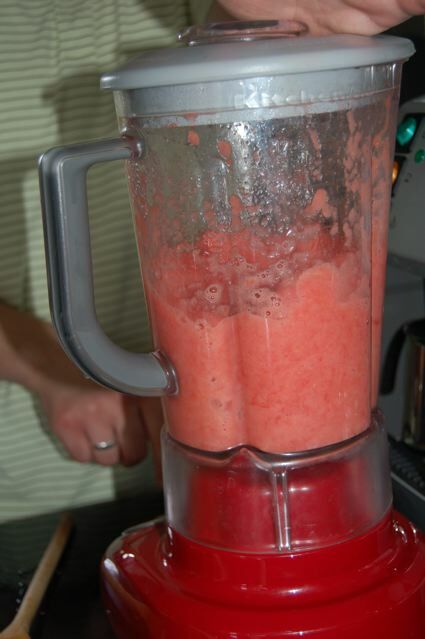 Freeze for a further 2 hours, mashing the mixture every 30 minutes until the granita has a slushy consistency. The majority of the Mesoamerican peoples made chocolate beverages, including the Maya and Aztecs, who made it into a beverage known as xocolātl, a Nahuatl word meaning “bitter water”. The seeds of the cacao tree have an intense bitter taste, and must be fermented to develop the flavor. After fermentation, the beans are dried, cleaned, and roasted, and the shell is removed to produce cacao nibs. The nibs are then ground and liquified, resulting in pure chocolate in fluid form: chocolate liquor. 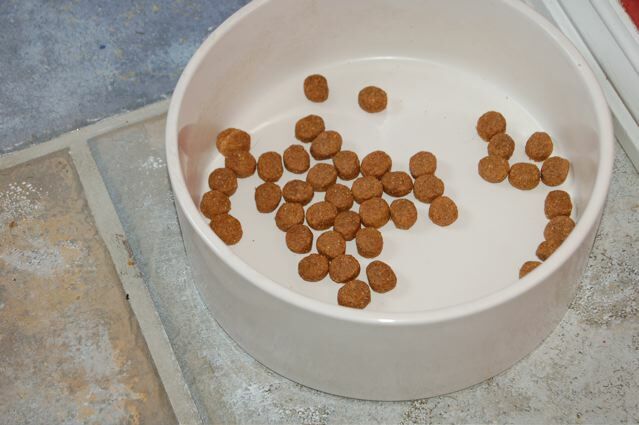 The liquor can be further processed into two components: cocoa solids and cocoa butter. Cocoa in all it’s forms was considered a luxury item among the Mayas and Aztecs and also when it was first introduced in Europe in the 1500s. It wasn’t until the Industrial Revolution that people in all walks of life had an opportunite to eat chocolate. Chocolate as we know it is made of a mixture of cocoa solids, cocoa butter, and sugar, milk, and/or vanilla. Dark chocolate contains at least 70% cocoa (solids and butter), sugar, and sometimes vanilla. Milk chocolate contains up to 50% cocoa, milk, sugar, and vanilla. White chocolate contains up to 33% cocoa, sugar, milk, and vanilla. Often producers at an emulsifying agent like soy lecithin, but this can be left out to keep the chocolate purer and GMO-free. Vegetable oils and artificial vanilla flavor are often used in cheaper chocolate to mask poorly fermented and/or roasted beans. In 2007, the Chocolate Manufacturers Association in the United States, whose members include Hershey, Nestlé, and Archer Daniels Midland, lobbied the Food and Drug Administration to change the legal definition of chocolate to let them substitute partially hydrogenated vegetable oils for cocoa butter in addition to using artificial sweeteners and milk substitutes. Currently, the FDA does not allow a product to be referred to as “chocolate” if the product contains any of these ingredients. Though all this information on chocolate production is interesting and informative, what’s most important is the people behind the chocolate. There are approximately 50 million people working in the chocolate industry today. Most of our chocolate comes from the Ivory Coast region of West Africa, where cocoa production is an enormous part of the economy. In Ghana, 40 percent of the country’s export revenues come from the sale of cocoa. Unfortunately, very little of the profit goes to the farmers who grow the cocoa beans. Cocoa farmers receive about a penny for a candy bar selling for 60 cents. In fact, the difficulty in making a living at cocoa farming has spawned an increase in child and even slave labor drawn from poor neighboring countries such as Mali, Burkina Faso, Benin and Togo. Children and other workers are forced to work long days picking and processing cocoa beans (it takes 400 of these pods to make just one pound of chocolate). Very few of the children have the opportunity to attend school. So it is more than likely that the chocolate in Kit Kats, Snickers bars, etc. are made, at least in part, from the labor of child slaves. I’m certain that companies like Nestle and Hershey aren’t purposefully buying children and using them as slaves, but they aren’t entirely guarding against it. And should we feel guilty for eating Kit Kats? Until these big corporations step up and monitor their sources more, yes. Maybe not the Kit Kats we ate before we knew about the fair trade issues, but we, as wealthy Americans, are a part of this machine that runs on the sweat of poor, hungry, people and there probably should be some guilt in that. But that guilt should inspire change! Does that mean that we never eat chocolate again? No! There are lots and lots of great companies out there who are producing chocolate for the benefit of the people harvesting the beans! And I think that it’s incredible that we can choose to use our dollars to support these people. Is fair trade chocolate more expensive? Yes, $3.50 or more for a bar of good dark chocolate. But the expense is good, in my opinion, for several reasons: 1) We know that more of our money is going to hard-working people. 2) We can keep companies in business who are doing the hard work of playing fair. 3) We learn to make desserts of other things like fresh fruit and spices (mmm…ginger cookies). 4) We may eat less chocolate but when we do, it is really, really good chocolate and we can enjoy it all the more. Fair Trade Chocolate on Chocolate.com: Fine unique fair trade chocolate products including chocolate-covered oreos!